An expired licensing agreement has seen all games in the Marvel universe removed from their respective digital stores. 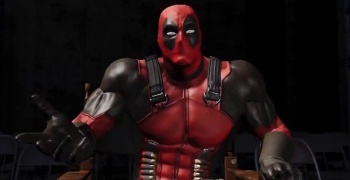 Marvel has elected not to renew its licencing agreement with publisher Activision, meaning that all of its games based on Marvel universe characters, including the recently-released Deadpool, have been automatically de-listed from Steam, PSN and Xbox Live. These titles are, of course, still available for purchase in physical format until stock runs out. The full list of titles affected are: Deadpool, X-Men: The Official Game, X-Men: Destiny, X-Men: Origins - Wolverine, Spider-Man: Edge of Time, Spider-Man: Shattered Dimensions, Spider-Man: Friend or Foe, and Spider-Man: Web of Shadows. Deadpool, the most recent title, was just released this past June. You may recall last year that Capcom was also forced to pull its own Marvel universe titles from digital marketplaces, a fact that Activision community manager Dan Amrich acknowledged in his official statement. "Just as Capcom was asked to remove their Marvel games from download, so did we," he said via Twitter. Amrich did, however, confirm that Beenox's movie tie-in: Amazing Spider-Man is still available, and that Amazing Spider-Man 2 is still on track to be released alongside the movie sequel this year. This is a very puzzling move from Marvel, and we've reached out to it for comment on the whole situation.